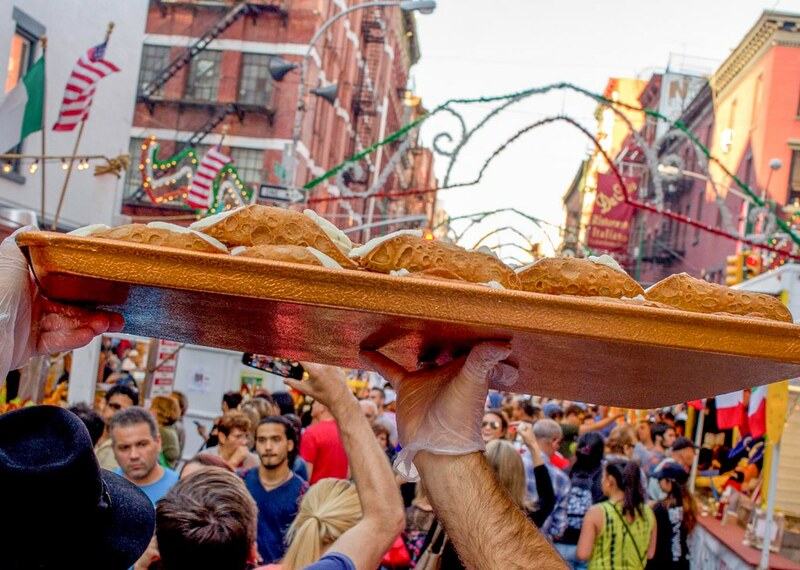 Every September Little Italy completely transforms into a haven of food, festivities and fun during the lively Feast of San Gennaro. As a highlight of the city every year, this beloved celebration not only honors the rich history of this famous neighborhood, but pays homage to the cultures and traditions that made Little Italy what it is today. But how did it all begin? As you probably would have guessed, the tradition of the Feast began in Italy before making its’ way to the states. In Naples, specifically. Originally a one-day religious ceremony, the event was meant to commemorate Saint Januarius, the Patron Saint of Naples. It was first celebrated in the United States on September 19, 1926, following the liturgical calendar of the Roman Catholic church. Following the beloved traditions of their home country, the Italian immigrants living in Little Italy at the time gathered together on the streets to continue the celebration they had honored for many years back home- thus creating a new tradition within their new country. A group of cafe owners erected a small chapel in the street to display the image of Saint Januarius. The immigrant families invited everyone to join in, asking for participants to pin an offering to the ribbon streamers hanging from the statue’s apron. That money was then donated to the needy and poor people of the neighborhood. As time went on the festival grew and grew until it eventually hit 11 days in length. Nowadays, instead of ribbons and shrines the street fair offers sausages and street vendors. The occasion is marked by the Grand Procession, starting at 2 pm on the last Saturday of the feast. Following the celebratory Mass in the Church of the Most Precious Blood, the procession is lit by candlelight while the statue of San Gennaro is carried from the its’ home in the church throughout the streets of Little Italy. 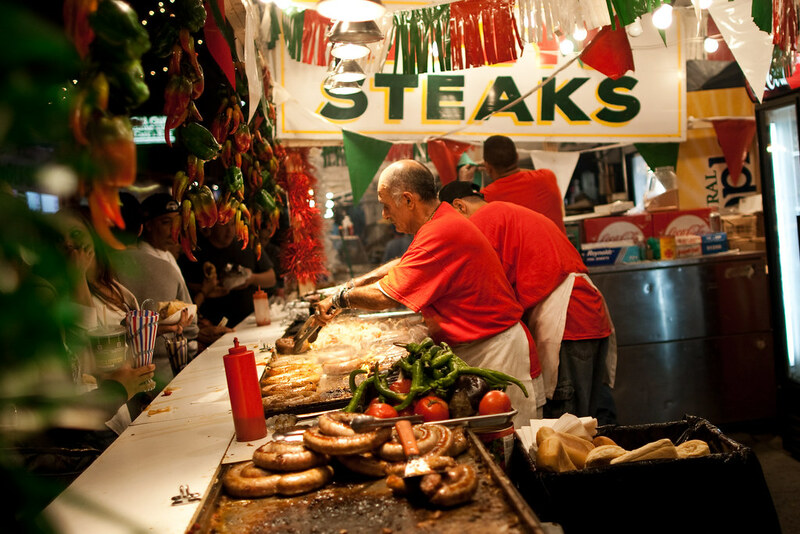 This years’ feast will run from September 13th through the 23rd, along Mulberry Street between Houston and Canal. There will be food, music, singing, dancing, games, shopping…so much to enjoy! 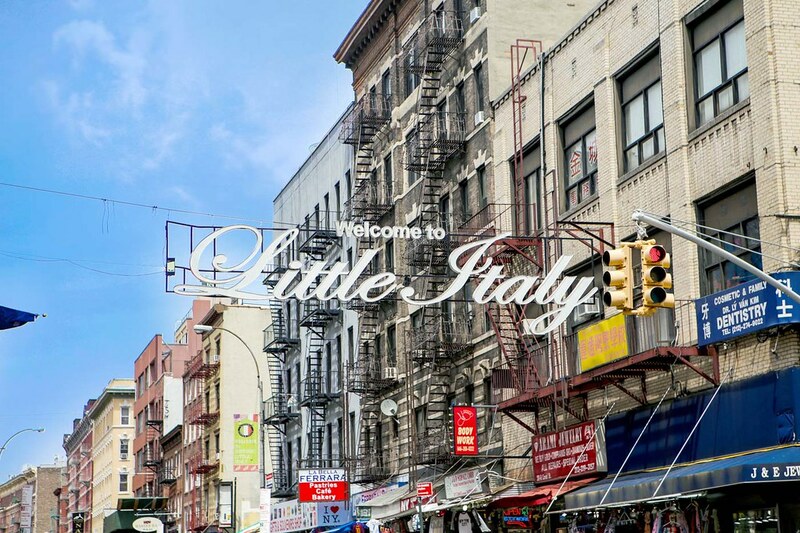 Make sure to stop by OR join in on our SoHo, Little Italy and Chinatown tour. Learn about the history and cultures of, not one, but three unique neighborhoods.